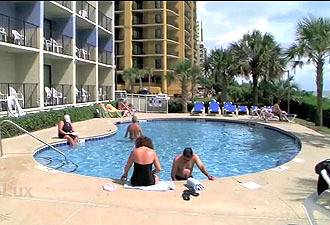 The Carolinian is a new high-rise condo resort located in the heart of Myrtle Beach, and affiliated with the Best Western Hotel corporation for rentals. This is an excellent resort for vacationers interested in the Myrtle Beach Convention Center and Broadway at the beach, as well as being convenient to the new Myrtle Beach Boardwalk just a mile or so down Ocean Blvd. 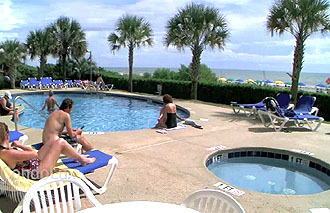 Offering 1 or 2 bedrooms, there are direct oceanfront condos available as well as less expensive ocean view units. Accommodations have all the upgrades you expect, and have been designed with as much window space as possible to accentuate the dazzling views of the beach. Prices range from under $100K for ocean view to around $200K for 2 bedroom oceanfront condos. The resort has 24 hour security, and all the conveniences you need for your vacation or to make rental income a lucrative alternative. 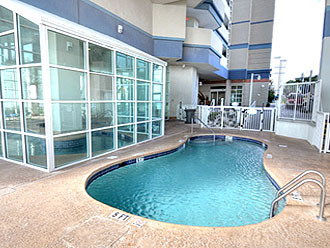 The pools and water amenities are beautiful and impressive! You'll have a gorgeously landscaped large oceanfront pool, as well as a bright and inviting heated indoor pool, spa, and lazy river. 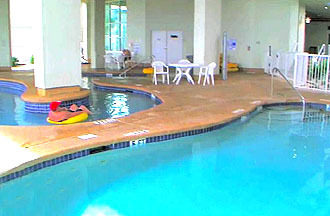 There is also a fitness center, gameroom, and ample parking. These are some of the nicest yet more affordable condos in Myrtle Beach, and should be on your list to see when you plan to tour the available Myrtle Beach condos for sale. Let us show you the many options when you decide to visit! Listing courtesy of Century 21 Coastal Lifestyles , Gary Pelehaty.